Successfully Added PC Remote For Windows - Media Software Control to your Shopping Cart. PC Remote with media control for easily controlling a computer running Windows XP like a TV. A computer mouse and keyboard are not the most economical way to control your computer media systems. It would be much better to be a distance away and control it all like a Television. 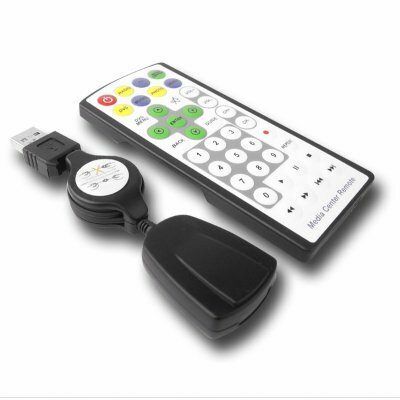 with this PC Remote, all of your media such as Video, Music, and Photo can be controlled with the touch of a button. Simplify install the powerful Power Cinema included with the purchase, and will instantly turn any XP computer into a remote controlled Media Center, and with the included drivers, will also work for Windows 98 and 2000..